Last month, on a bitterly cold afternoon, I took part in the annual walkabout around Forthill Drive and the surrounding streets. 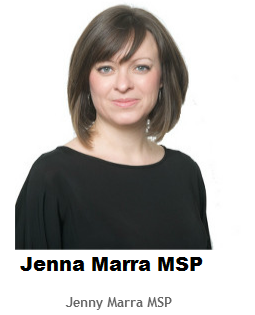 This was arranged by the Housing Department who had invited representatives from council and other services to walk round the estate with members of the Forthill Tenants' Association. During the walk we were all able to identify housing and other environmental issues that needed attention. 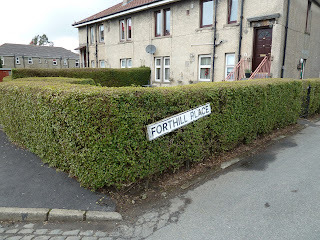 In Forthill Place for example we identified that the road sign was hanging down and on closer inspection looked as though it had been hit by a reversing car. We also met residents who told us about their frustration with parents and carers who try to drive down Forthill Place to the side gate for Forthill Primary School and then find it difficult to turn or reverse all the way back to Forthill Drive. Forthill Place is the narrowest street on the Estate and has no pavements. The drooping street sign and the issue of restricting access to Forthill Place has been reported to the Transportation Department.